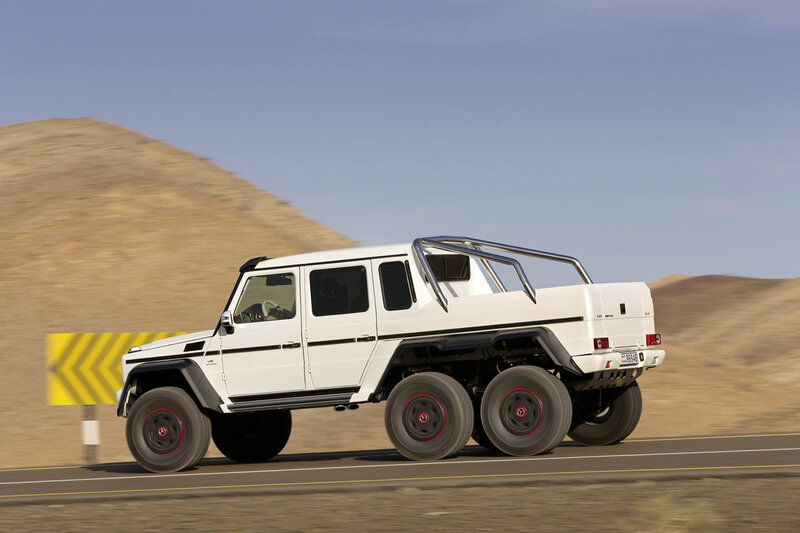 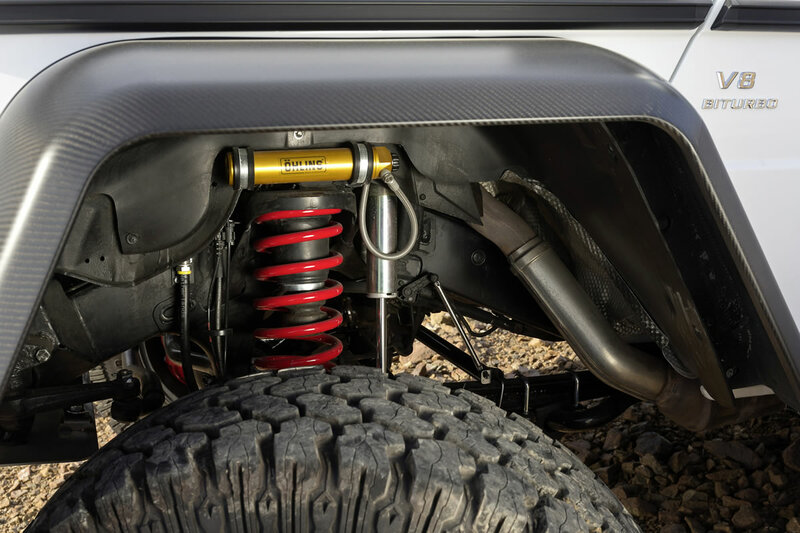 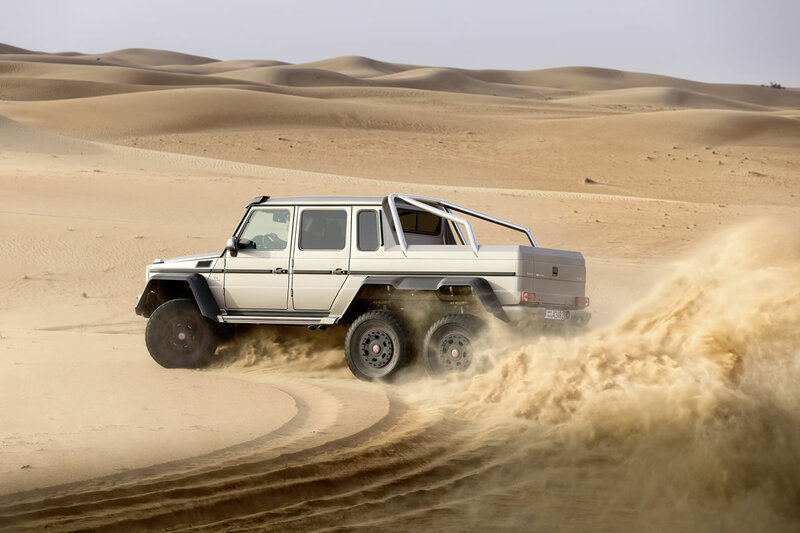 Earlier this month we brought you the first photos of the new Mercedes G63 AMG 6×6 and now we have a complete look at the massive off-roader with over 50 photos and specs. 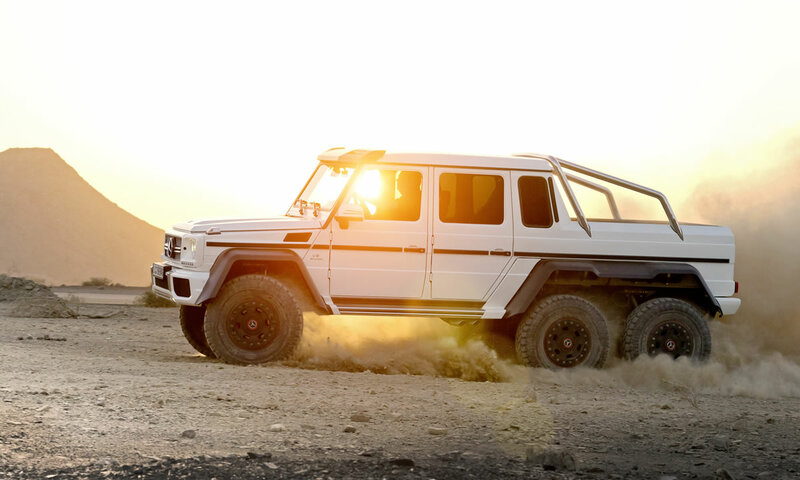 Stay tuned as this is part 1. 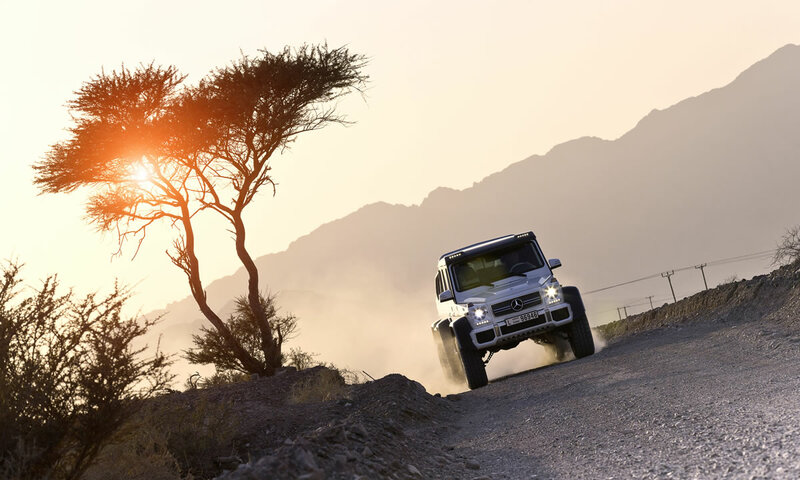 Superior 6×6 all-wheel drive technology, AMG V8 biturbo power and looks that leave no room for any doubt: the Mercedes-Benz G 63 AMG 6×6 near-series show vehicle is an off-roader which represents the last word in forward-thrusting power far from the beaten track. 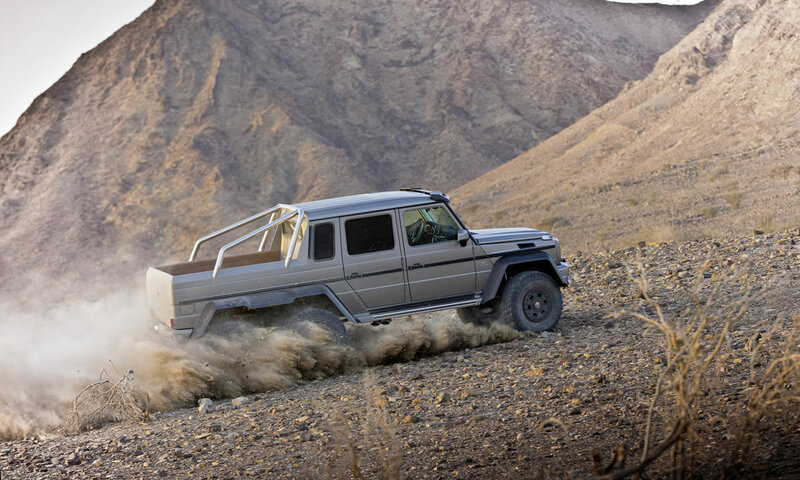 400 kW (544 hp), a 6×6 drive, low-range ratio, five differential locks, portal axles, tyre pressure control system and a special chassis allow this pickup to make good progress in environments where the concept of individual mobility normally bites the dust as soon as the road ends. 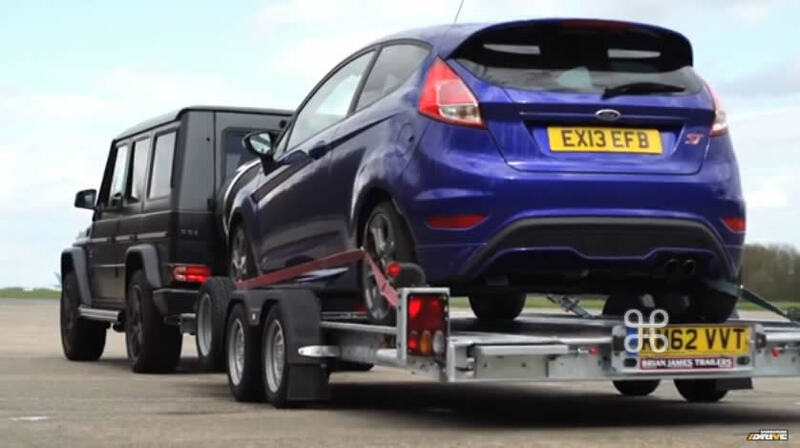 But anyone who imagines that this is a Dakar-Rally-style vehicle is on the wrong track. 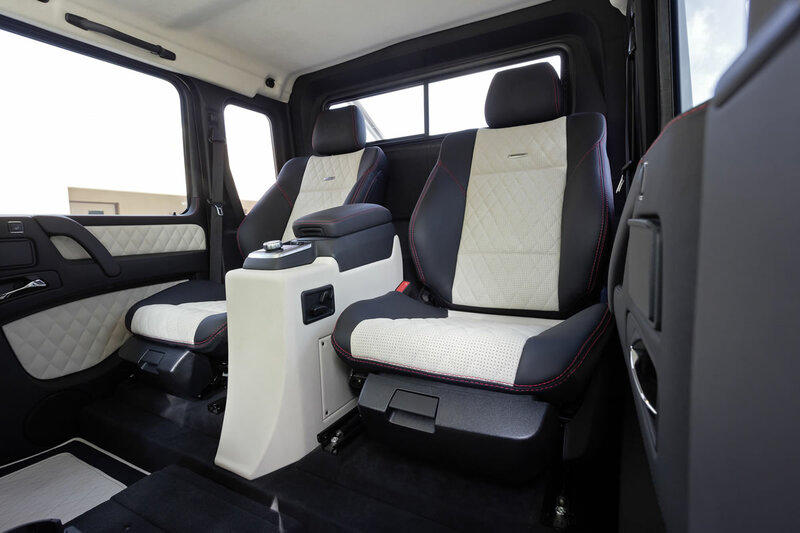 Thanks to the wealth of interior enhancements from the AMG stable, the occupants can enjoy the highest possible degree of comfort, even when negotiating the worst that the combined forces of topography and meteorology can throw at them. 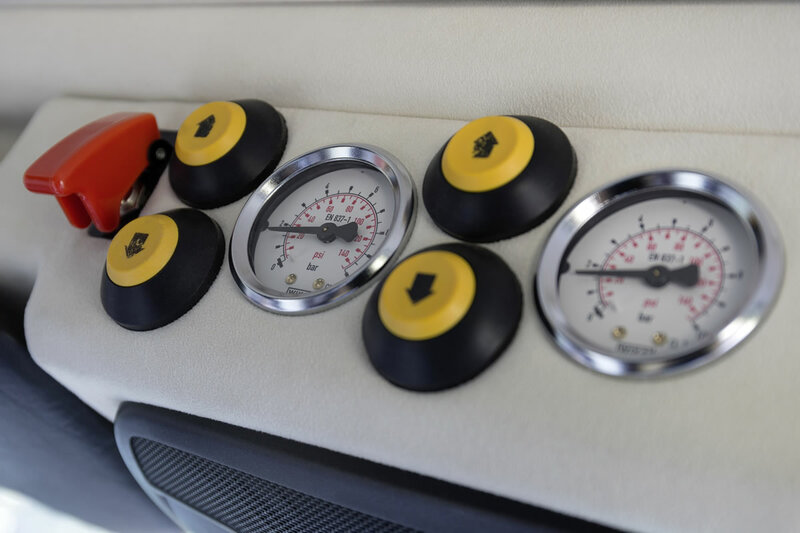 The exclusive touches even extend to the load area which is finished in solid bamboo. 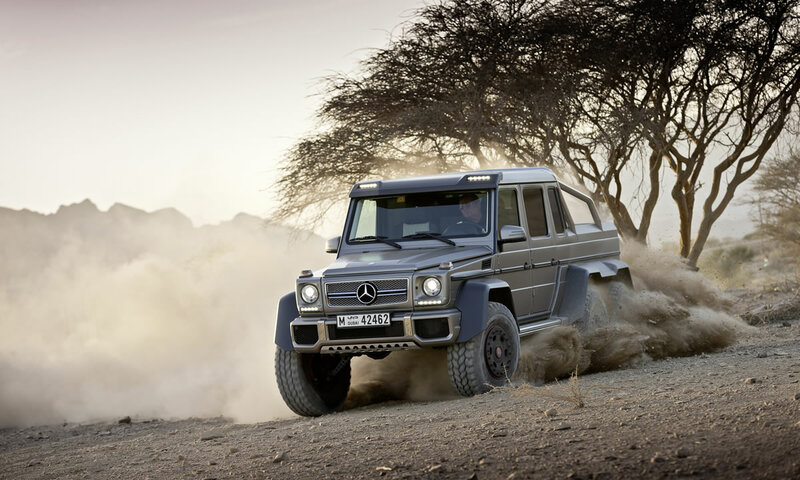 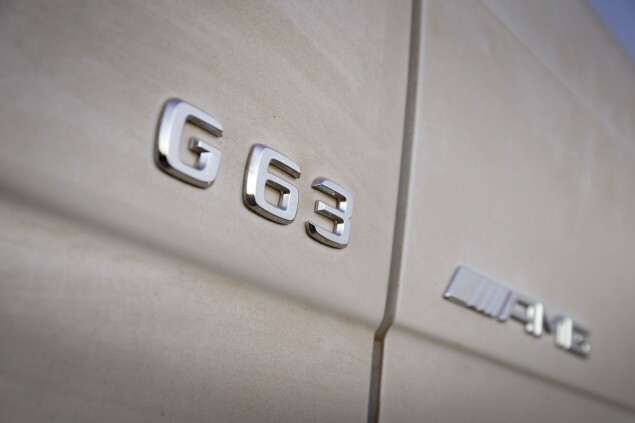 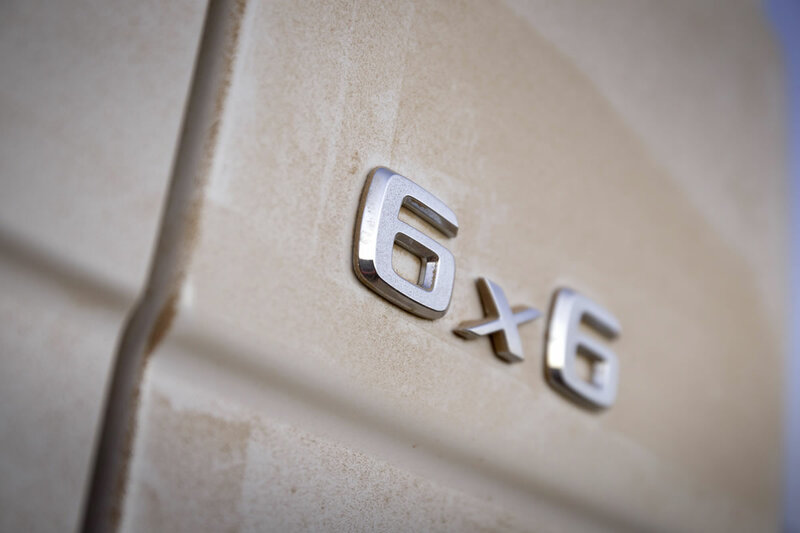 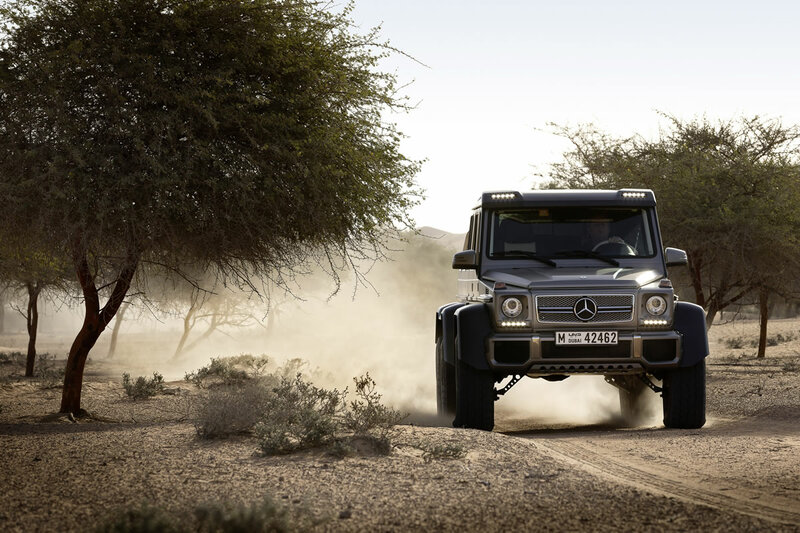 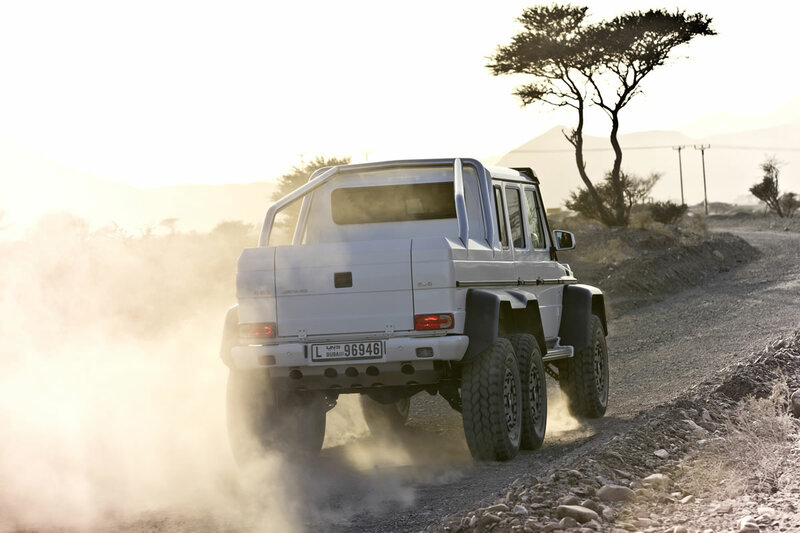 Visually, the G 63 AMG 6×6 pickup leaves no room for any doubt as to its true calling. 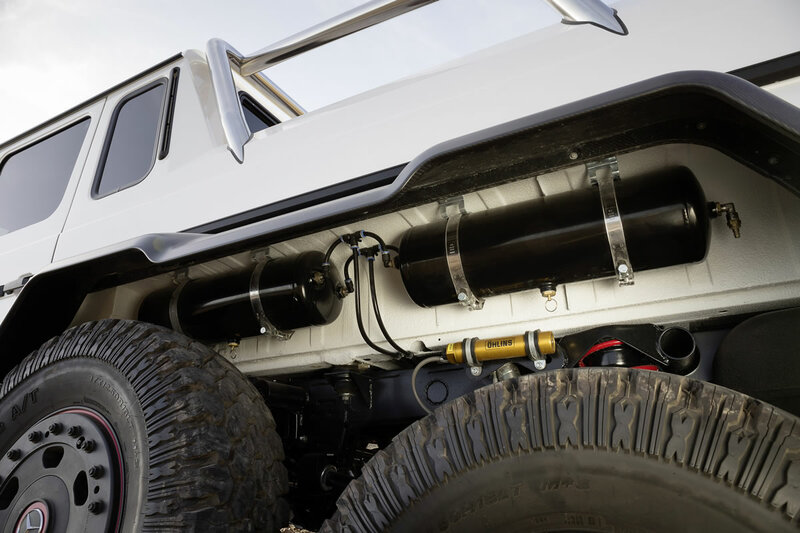 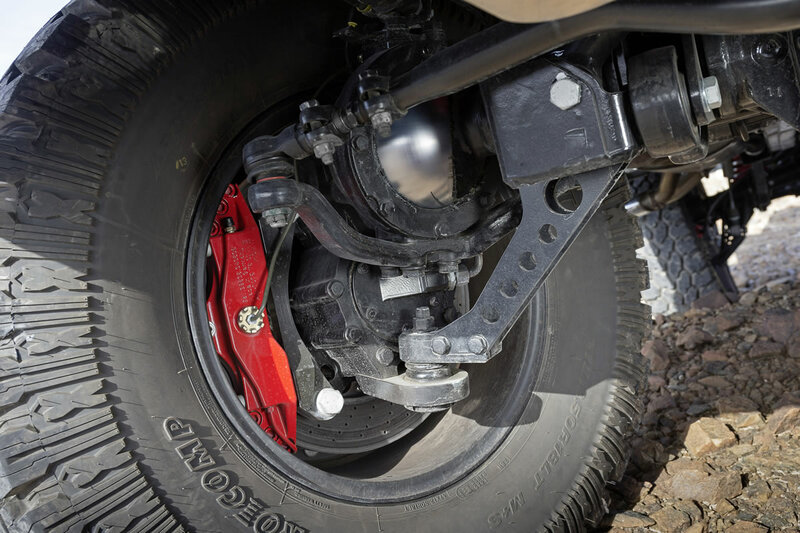 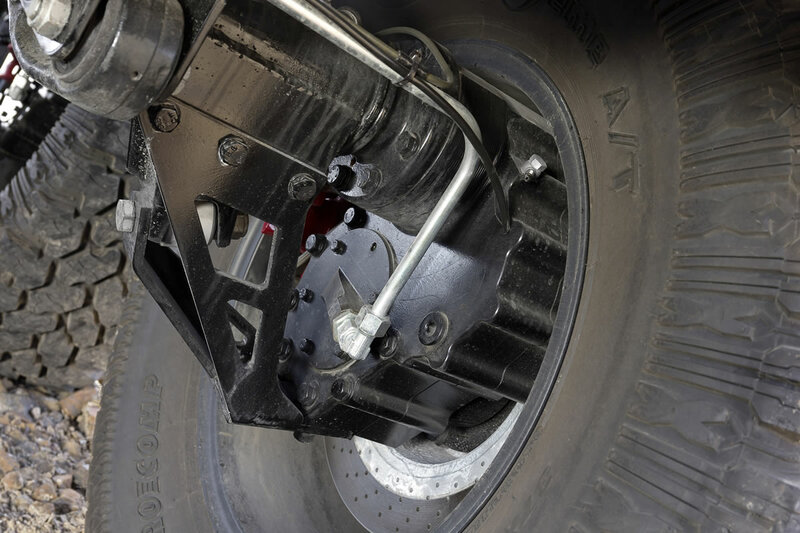 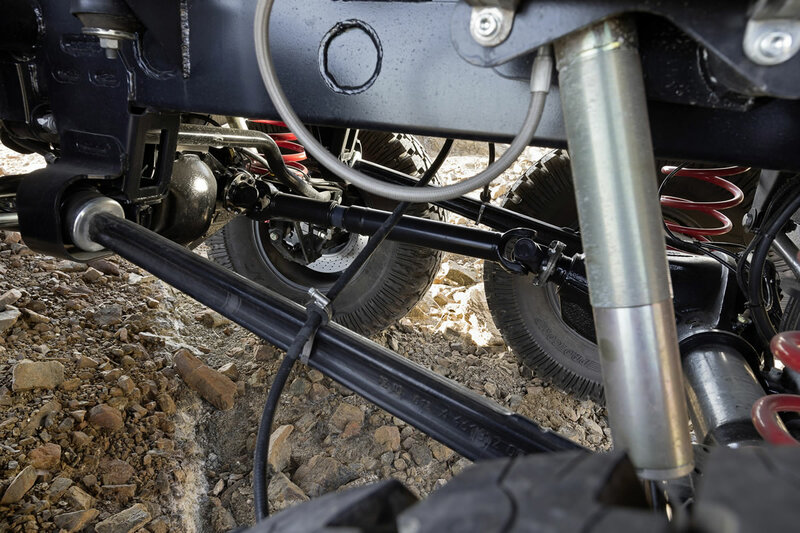 The large tires on the three axles, the huge ground clearance, the height of almost 2.30 metres and the width of some 2.10 metres as well as the clean-cut lines of the pickup immediately inspire respect. 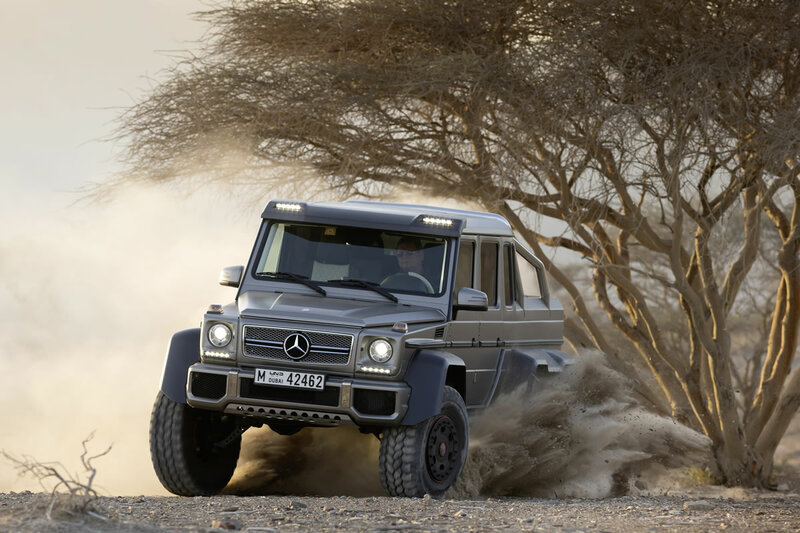 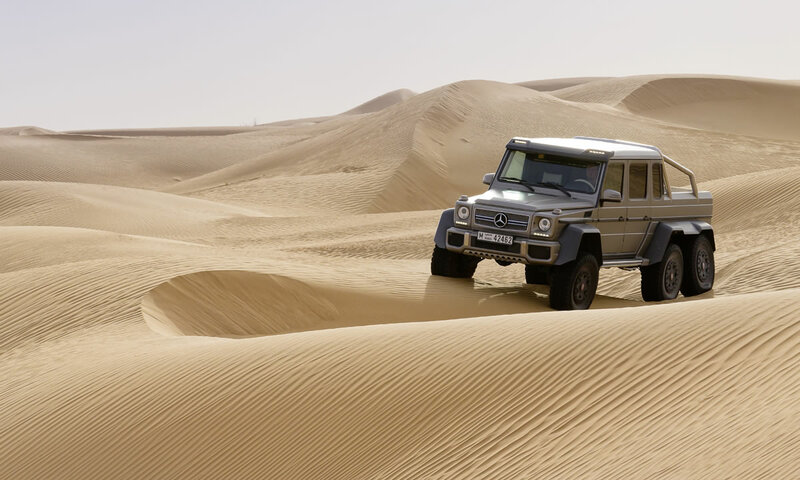 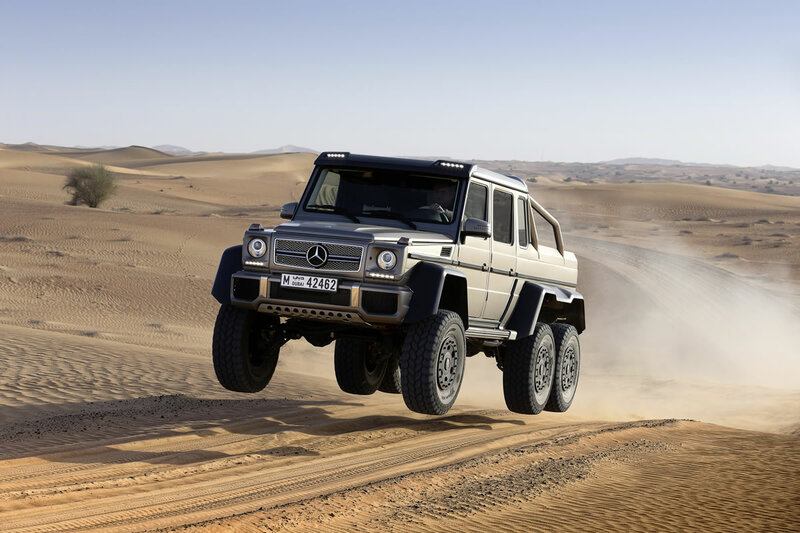 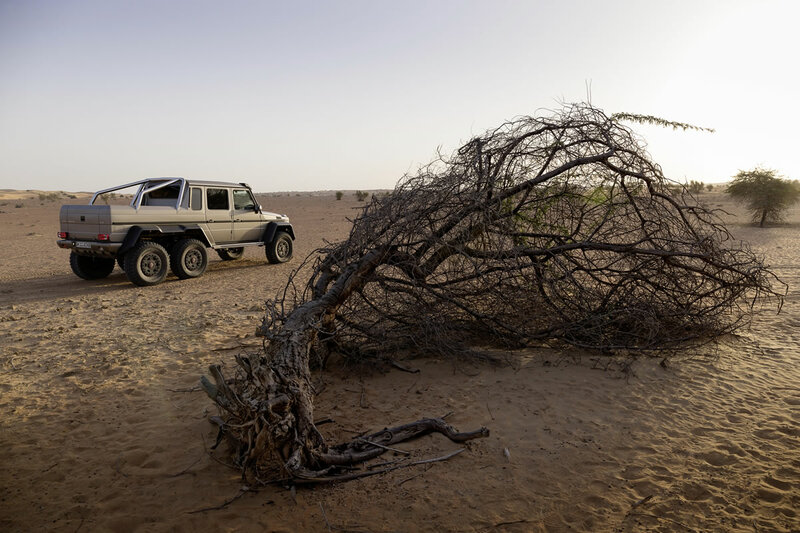 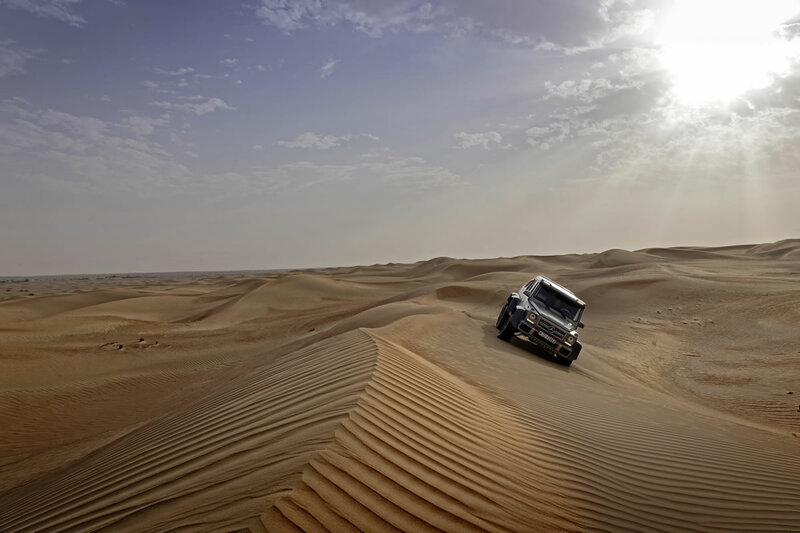 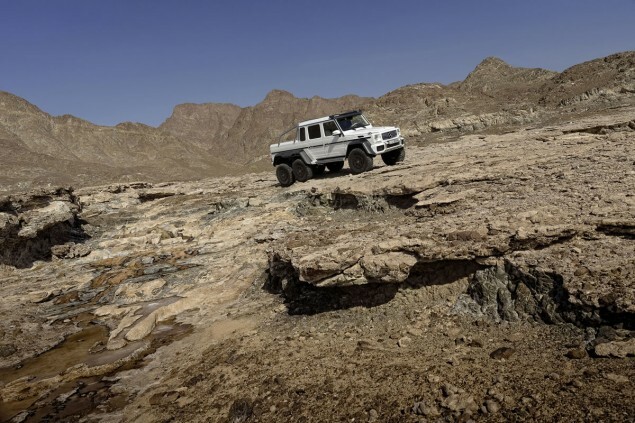 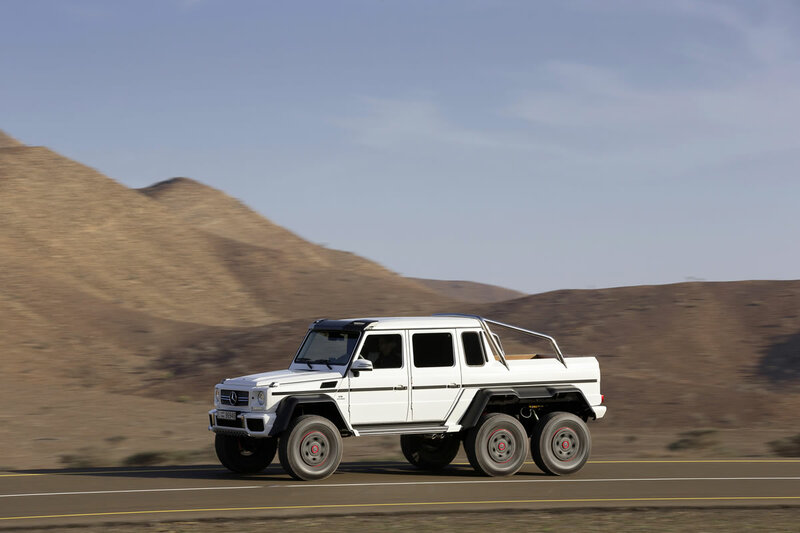 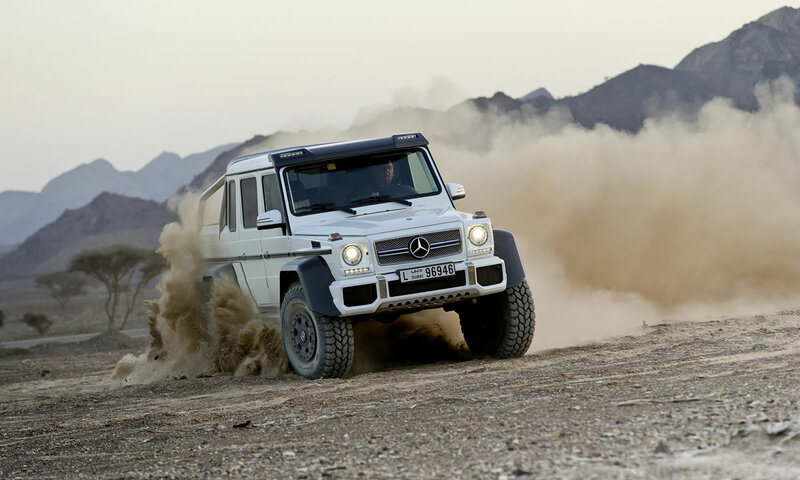 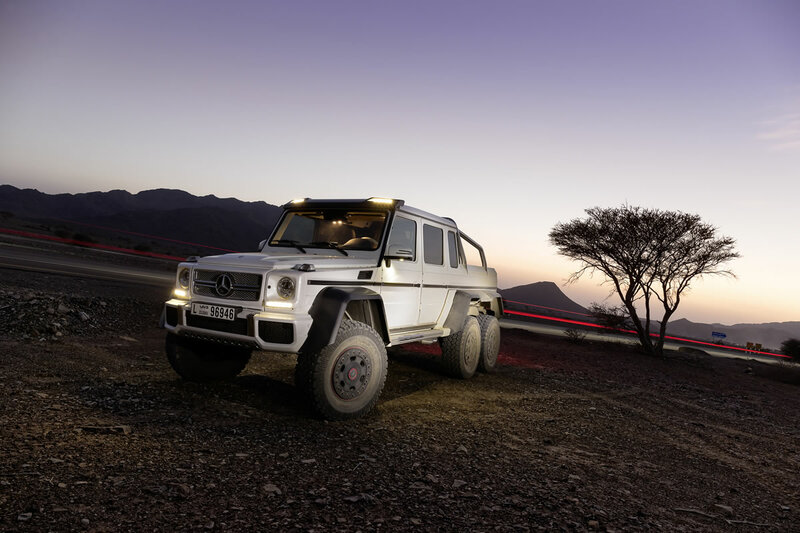 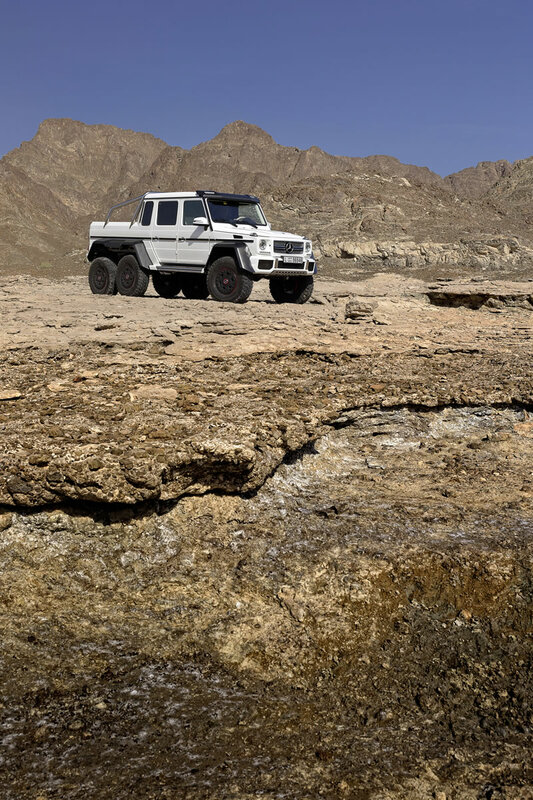 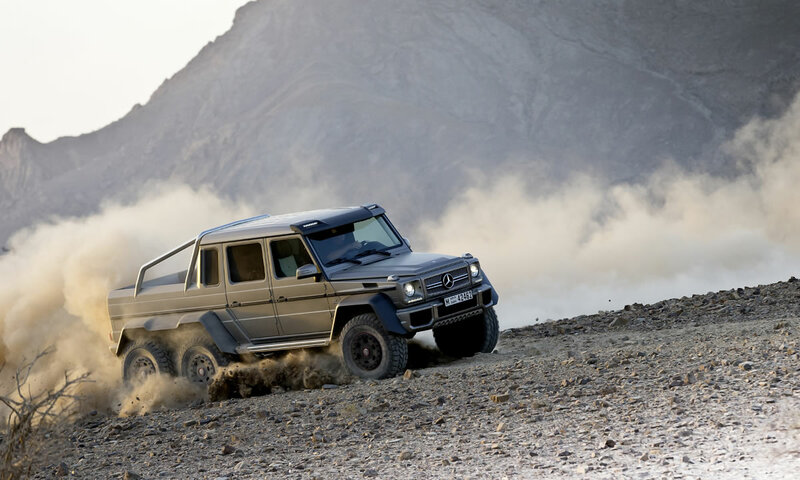 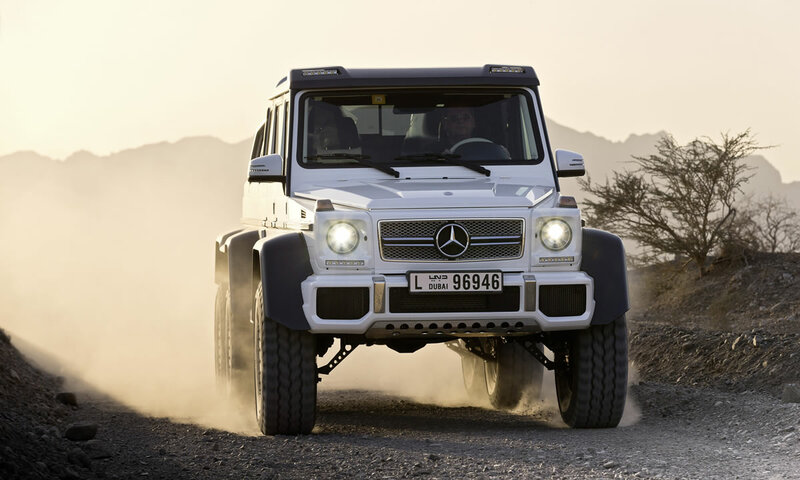 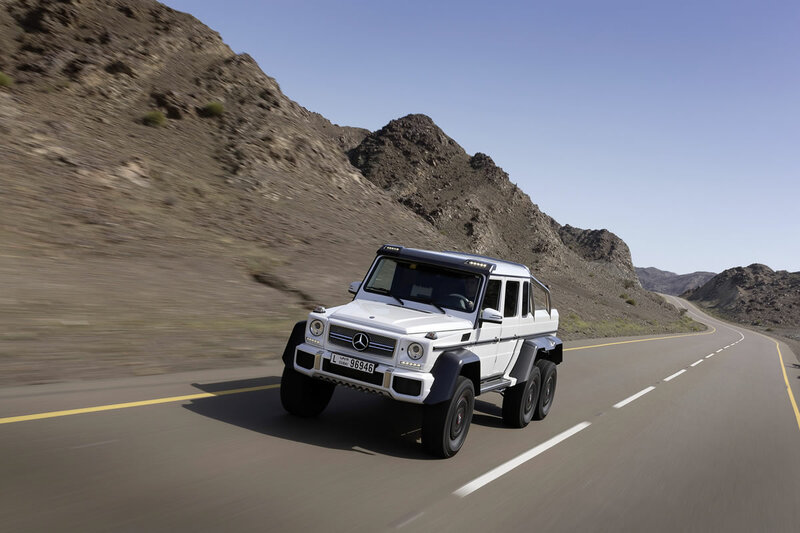 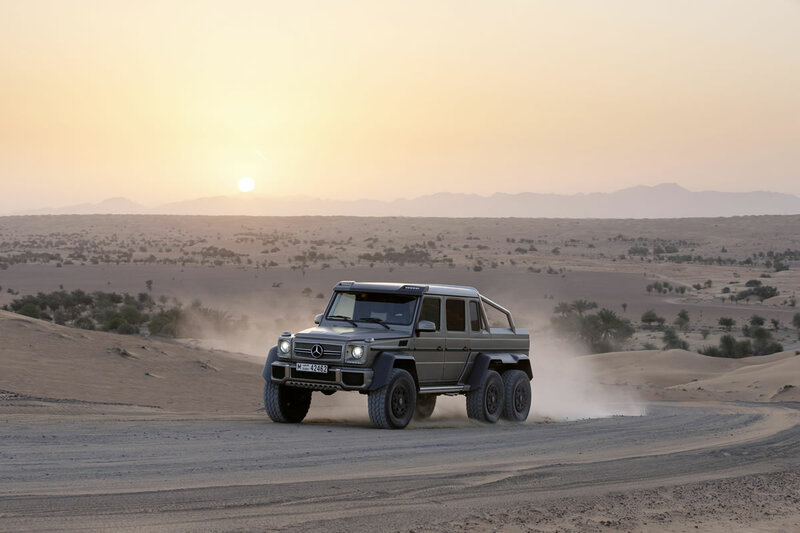 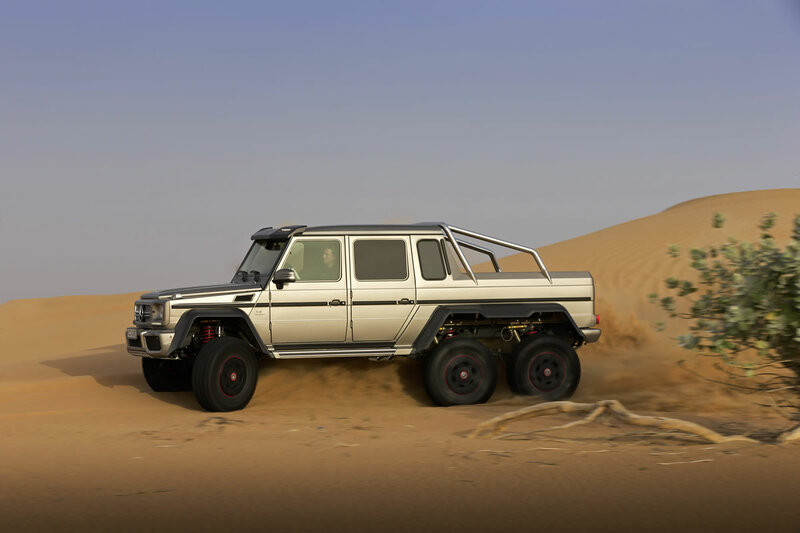 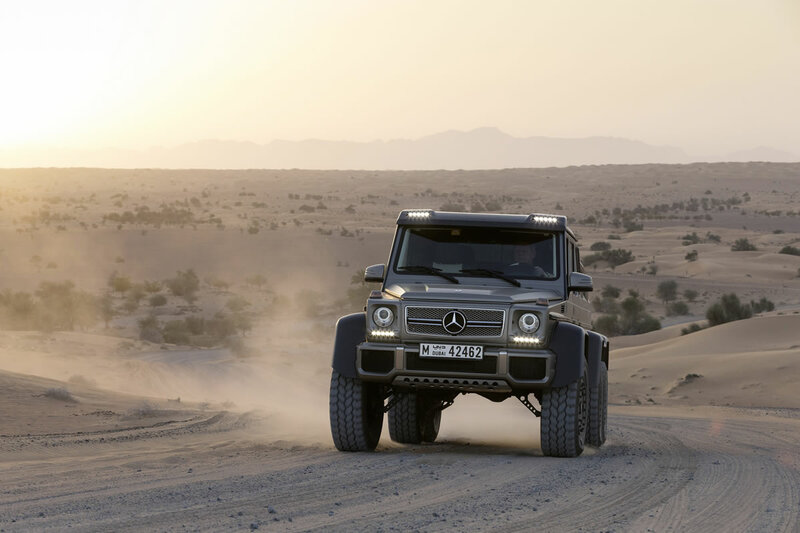 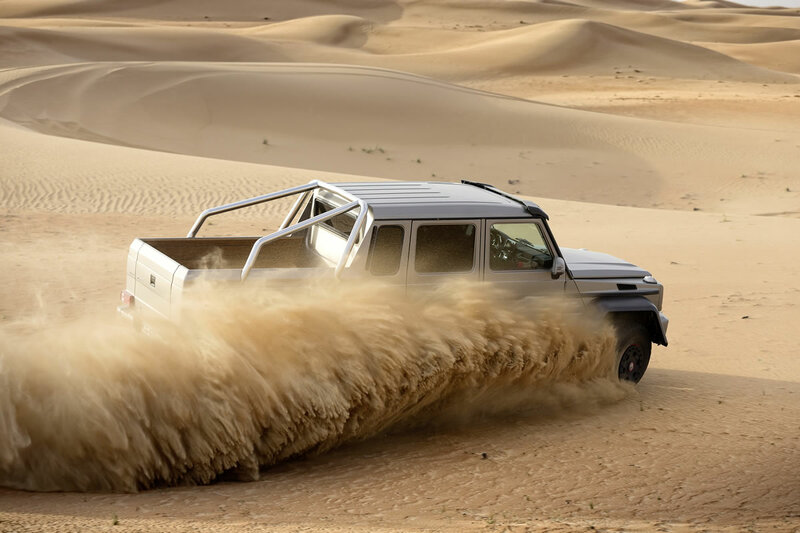 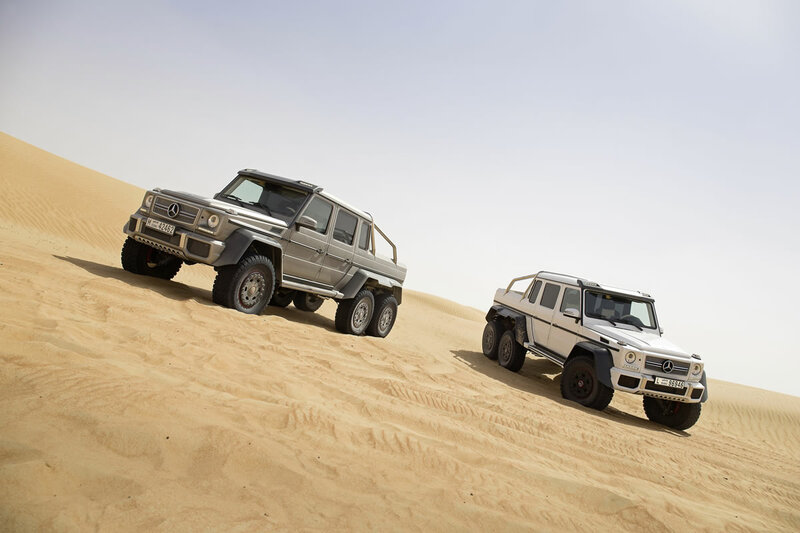 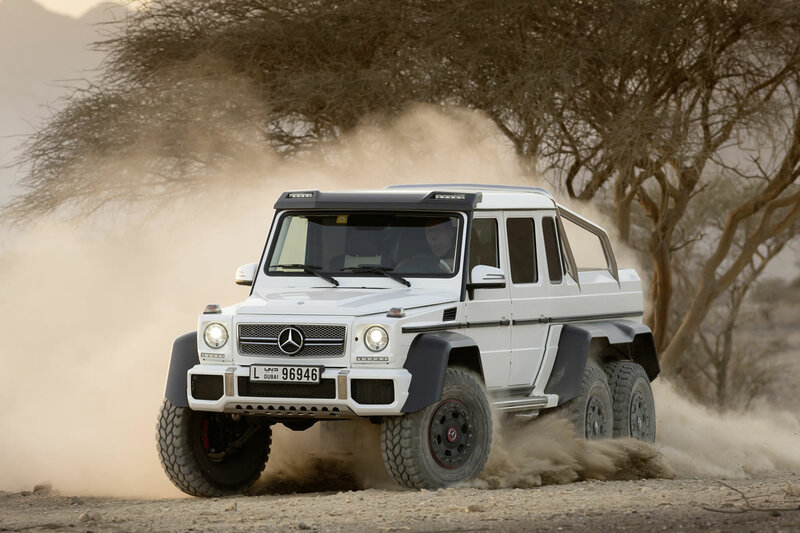 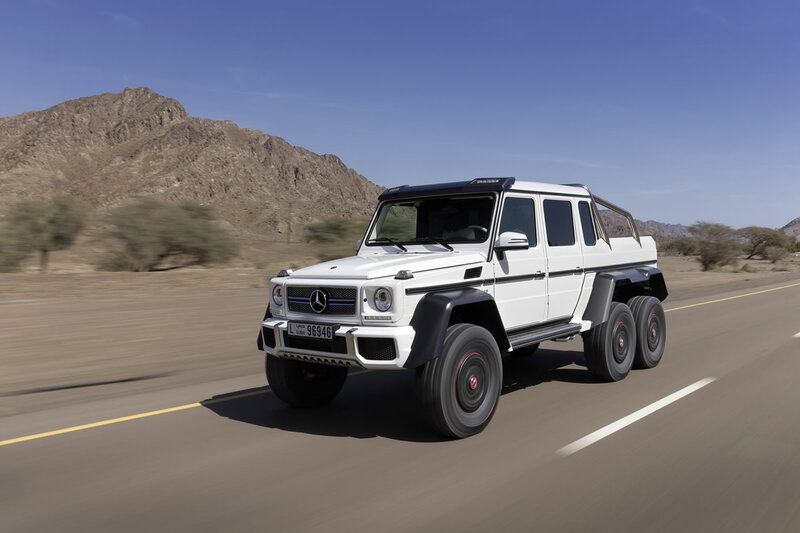 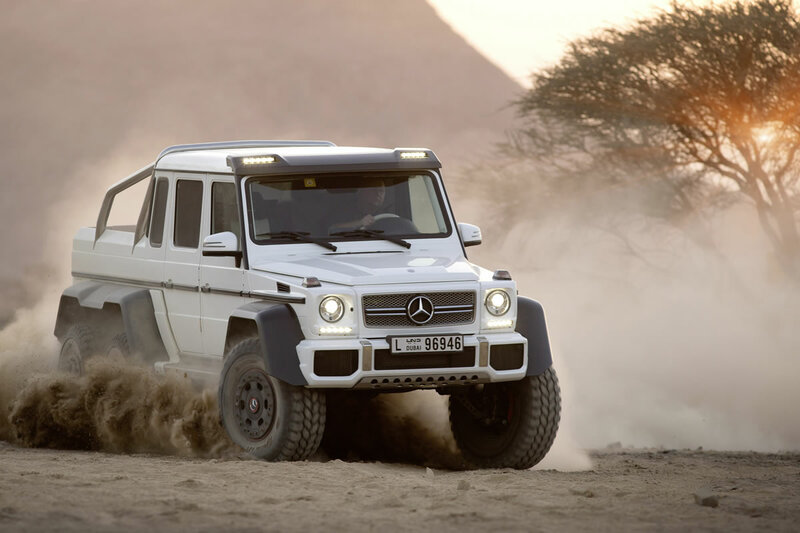 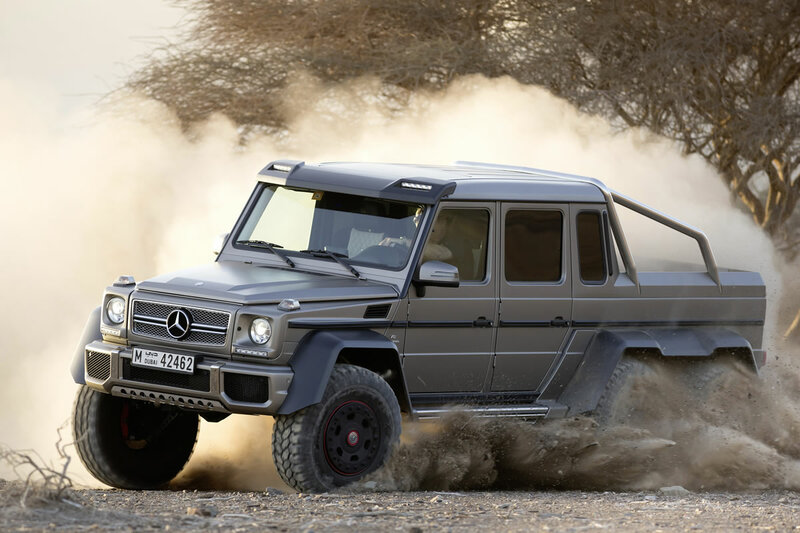 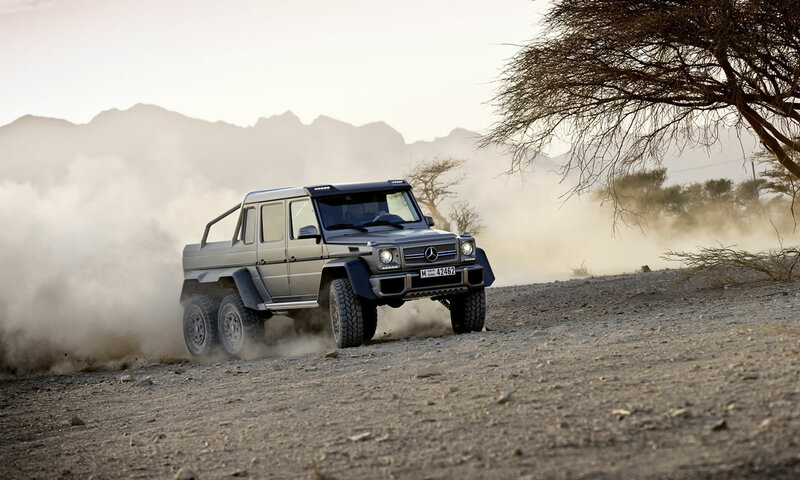 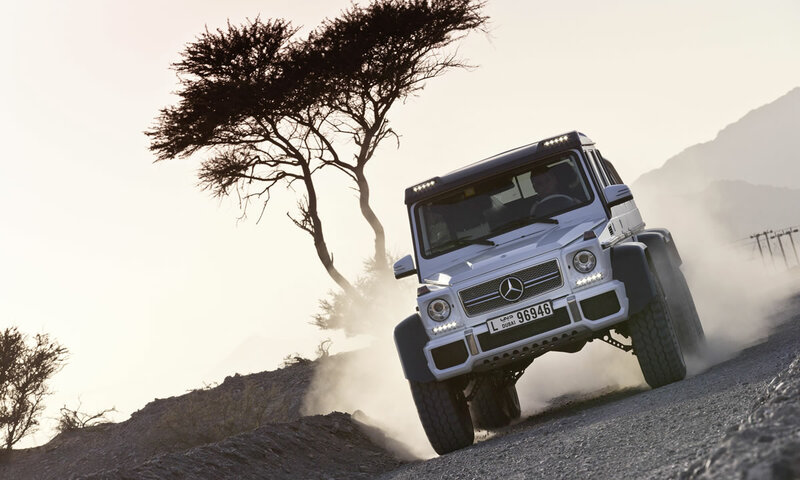 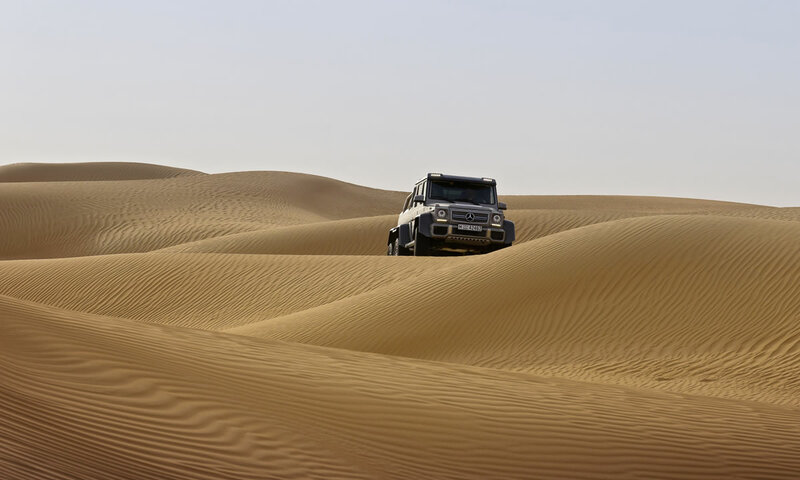 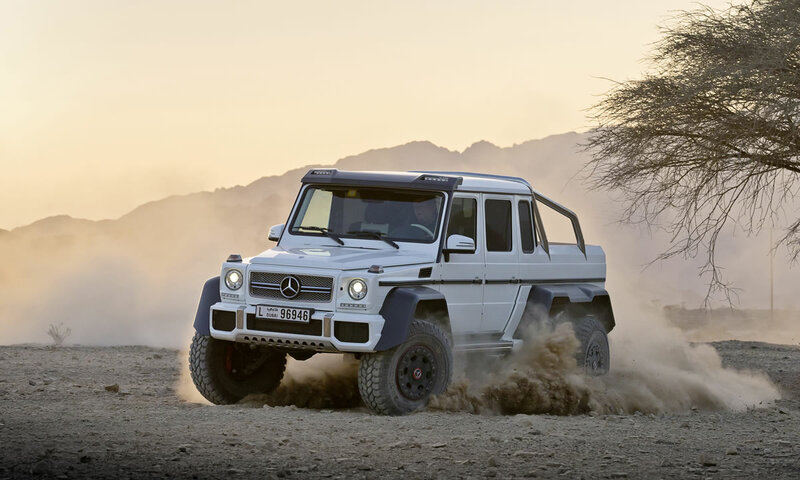 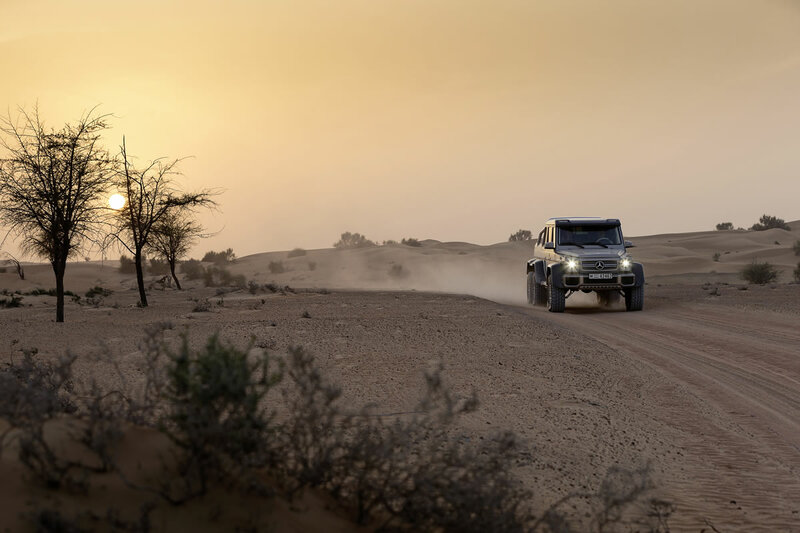 Like the G 63 AMG and G 65 AMG models before it, the super off-roader with its 5.87-metre-long body has the characteristic AMG brand face with the “twin blade” radiator grille. 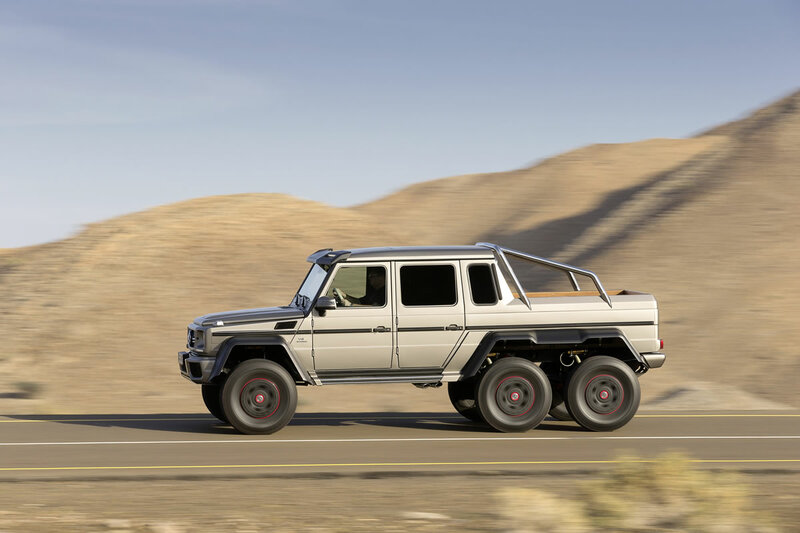 Other visual highlights include the use of elegant carbon fibre for the integrated LED light strips above the windscreen as well as for the large flared wheel arches while the rear load area section has a distinctive stainless-steel roll-over bar. 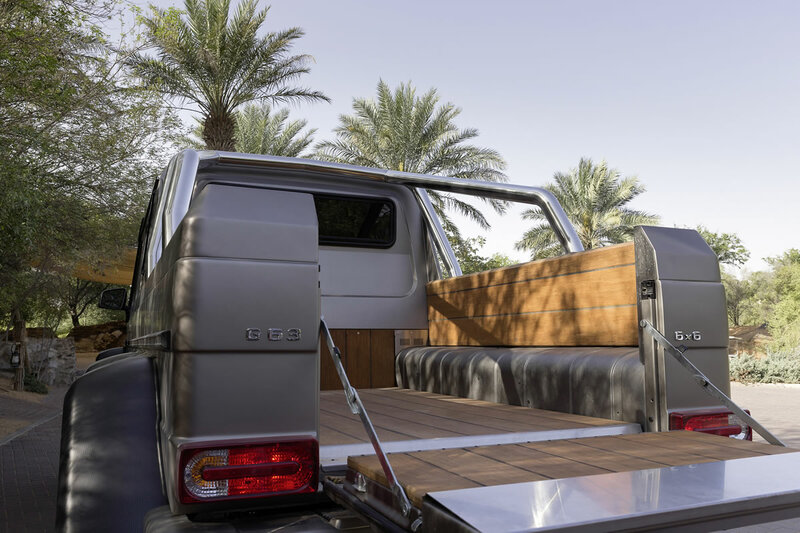 The load area, which is lined with particularly tough and durable bamboo, can be accessed by means of a tailboard.